OVER 40 PER CENT of recorded break-ins on business premises take place at the weekend according to new figures. 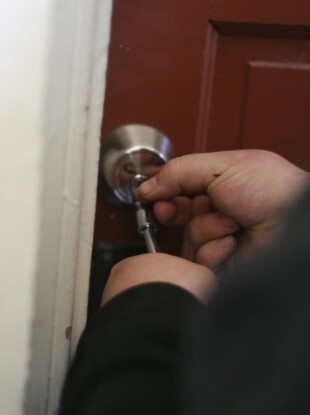 Sunday is the most active day for break-ins with 21 per cent of all incidents recorded in the first half of this year taking place on the traditional day of rest according to figures from Netwatch. Netwatch provides security services to more than 1,500 retail, warehousing, logistics, construction and multinational companies in Ireland and recorded over 3,000 incidents at sites across the country in the first six months of 2011. In total 3,059 incidents were recorded with 942 taking place in Dublin which had by far the highest number of attempted break-ins followed by Galway with 468. The figures showed that April was the busiest month for intruders who targeted businesses on 656 occasions. Multiple intruders were involved in 68 per cent of incidents with the vast majority (93 per cent) of intruders travelling on foot with 7 per cent of incidents involving a vehicle. Properties are considered most vulnerable to being attacked in the early evening, between the hours of 7 and 9pm, says Netwatch. With autumn approaching and the darker evenings imminent, Netwatch advises businesses to review their security arrangements and look at technologies available to them, to implement a standard procedure for closing down every night, install exterior lighting, and provide staff with locked cabinets for valuables. Email “Sunday the busiest day for business break-ins ”. Feedback on “Sunday the busiest day for business break-ins ”.